The image portrays the scenery you see while hunting in South Dakota. This framed print shows a pair Ring-necked pheasant roosters on a fall day near a bean field. 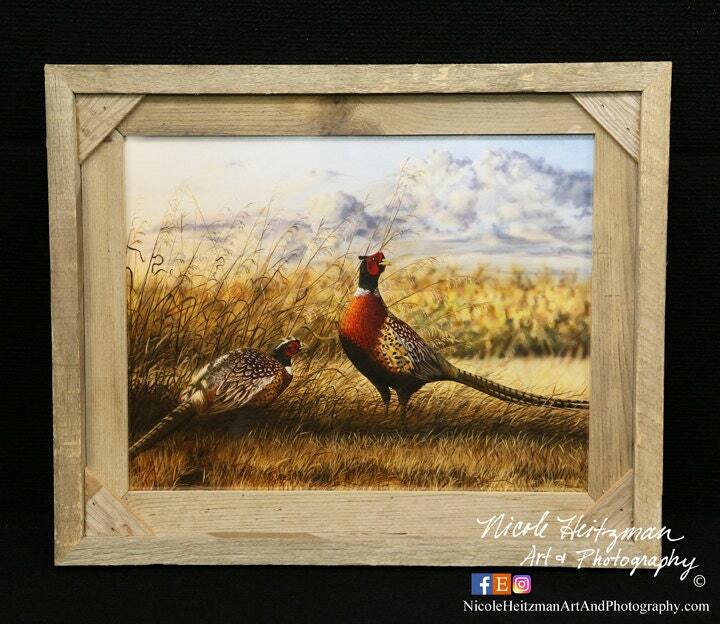 Artist, Nicole Heitzman, of Parkston, South Dakota created this painting based on many South Dakota pheasant hunts. Due to the nature of the barnwood, each frame has it's own unique characteristics.